“Since the party’s Candidate, Chief Emeka Ihedioha was fraudulently declared winner of the governorship election in the State following the askance role of the Resident Electoral Commissioner (REC), Prof. Francis Ezeonu, the party and its members have not made any policy statement on where they are taking off from and where they are going from there. “They are either talking about non-existent N17billion that has been withdrawn by the government or talking about the lands to revoke and the vehicles that have been auctioned or threatening fire and brimstone. 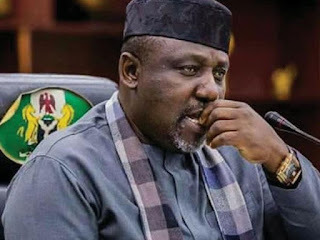 And when they were Challenged to say where in Imo one can find N17b to withdraw and whether the money was withdrawn Cash or by transfer, they evaporated.